After I began to write articles for Rapture Ready, I had connected with a sister in Christ on Facebook. Her name was Joy Wriston and we became the best of friends. She wrote an article named “Jewish Wedding Ceremony” and at the urging of many of her friends, she submitted the piece to Rapture Ready. The article was received well and published on RR. After a two year battle with cancer, Joy went home to be with our blessed Redeemer earlier this year. I can’t even imagine her great joy in finally being with the One who held her heart. I still cry when all of a sudden it hits me that she is no longer just a phone call away. But then my heart is flooded with great joy, picturing her with Yeshua. I look forward to seeing her in heaven, and never having to say goodbye again. This is a tribute to Joy Wriston who ran the race and finished so well. I was brought up in a church that believed in the Pre-Trib Rapture but in college encountered other views. I noticed that they mostly used the same verses but interpreted them differently so wondered if my interpretation could be the one that was wrong. Then I discovered Zola Levitt and his explanation of the Jewish roots of the Rapture confirmed for me that the Pre-Trib view is the accurate one. This is my synopsis of his teaching gleaned from his book, An Israeli Love Story ( a fictional story which explains the Jewish wedding ceremony). Anyone who wants to research this further can do so as there are many articles from different sources on the Internet. At the bride’s house three very important things would occur: The groom would make a covenant with the bride, an actual contract; he would drink a cup of wine with her which sealed the covenant and he would pay the bridal price for her to the father. The bridal price was to make sure the groom was serious about the covenant—he had to pay a price. After the covenant was made, the cup had been drunk and the price paid, the groom would make a speech to the bride telling her that he was going to leave her and return to his father’s house to prepare a bridal chamber for her, sort of a honeymoon suite. The words he would say were “I go to prepare a place for you.” He would be gone for a long time. He would have to build and finish the bridal chamber and have it approved by his father. It would have to be stocked for enough provisions to last for the prescribed seven days for a honeymoon of that time period.He would want it to be beautiful for her. Meanwhile, the bride was waiting with dignity. She wore her veil whenever she went out so that other young men would know that she wasn’t available. Now she was called “set apart,” “consecrate.” And “bought with a price.” She was no longer her own person but an individual contracted to another and she conducted herself in a way that respected that agreement. She didn’t seek after other young men. She prepared herself for marriage by gathering her trousseau and waiting for her groom. She was at home every night, especially as time went on and she knew he could be coming. The entire wedding party would head towards the groom’s house, traveling through the streets and laughing. People would know there was a wedding going on but couldn’t tell who the bride was because the bride was covered by the veil. The bride and groom would enter the bridal chamber while the wedding party waited outside along with the wedding guests (friends of the groom’s father). Everyone waited outside the wedding chamber until the groom told his trusted friend through the door that the marriage was consummated. The New Covenant had to do with the Messiah’s coming and had to be signed in blood. Abraham had to divide animals when the Abrahamic Covenant made the Jews the chosen people (Genesis 15:10). In Moses’ day, the blood of the sacrificial lamb on the doorposts saved the firstborn of the Jewish believers (Exodus 12:7). Then later on Mount Sinai, the Mosaic Covenant was established. It required repeated blood (animal) sacrifices specified in the Law for the forgiveness of sins/offenses against God (Exodus 20:24). The Davidic Covenant included burnt and peace offerings which required the shedding of animal blood (2 Samuel 6:17-18, 1 Chronicles 16:1-3). It’s the blood that makes the Covenant go into effect. When the Messiah (Jesus) came, John the Baptist called Him ,“The Lamb of God who takes away the sin of the world” (John 1:29). Isaiah 53:7 says the Messiah “would be led as a lamb to the slaughter.” When Jesus died on the cross, it was as a sacrifice for us; dying in our place with our sins placed on Him. That the relationship of God and Israel has always been a marriage is made clear in the book of Hosea. In Jeremiah 31:32 God says He has been a “husband” to Israel.Paul compared marriage to being like the relationship between Christ and the church (Ephesians 5:22-33). The church is referred to as the bride of Christ or betrothed of Christ (Revelation 17:9; Ephesians 5:25-28; 2 Corinthians 11:1-4). Jesus said that He only came for the “lost sheep of the house of Israel.” When Gentiles came to faith in the Jewish Messiah they were grafted into the Jewish tree, and were called the spiritual seed of Abraham (Matthew 15:24; Romans 11:17). Jesus paid the bride price. He even asked His Father if it was worth it. (Luke 22:42-44) In the Garden of Gethsemane Jesus prayed, “Father, if You are willing, remove this cup from Me; yet not My will, but yours be done. And His sweat fell like great drops of blood while He was contemplating the cross. God sent an angel to strengthen His Son. That was His answer. Jesus paid the price for us. In John 14:2-3 Jesus tells His disciples, “ In My Father’s house are many dwelling places. If it were not so, I would have told you; for I go to prepare a place for you. 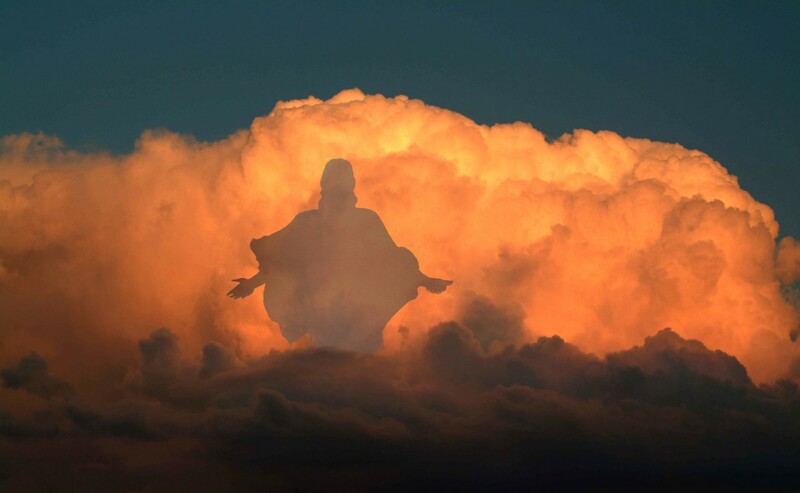 If I go and prepare a place for you, I will come again and receive you to Myself, that where I am, there you may be also.” His ascension into heaven is recorded in Mark 16:19-20 and Luke 24:50-51. Jesus is still at his Father’s house preparing a place for us. And we are awaiting His return in a consecrated way—bought with a price; set apart (1 Corinthians 6:20; John 17:14-26, Romans 12:2;1 Peter 1:15-16.) “We are to act like the covenanted bride and be waiting at all times for our Bridegroom to come.We are to have oil in our lamps and be ready to travel, even at night (Matthew 25:1-46). Our oil is the Holy Spirit, the third Person of the Trinity who came to the Jews at Pentecost after the Messiah ascended. We are each to be filled with the Holy Spirit and always ready to go (Acts 2). In the Jewish holy days, “Shuvuot (Pentecost) – that’s the harvest holiday. All summer following Pentecost the people plant and till the ground. But when the trumpet sounds, on what we now call Rosh Hashanah, the old Feast of Trumpets, the crops are in and the harvest is finished. Jeremiah, just to mention one prophet, could see that we wouldn’t be ready—not all of us. That fulfills everything.You have the shout of the bridegroom to notify the bride of his coming; you have the trumpet to finish the harvest and to proclaim liberty for God’s people. We (Jews) used to blow the trumpet on each Jubilee to proclaim liberty…well, this is real liberty (Leviticus 25:10). Just as a Jewish bridegroom called for his bride unexpectedly, and took her to his father’s house, Jesus will take His Bride (believers) away quickly, changed in the twinkling of an eye. (1 Corinthians 15:52). The Bride is to be ready and waiting with her veil on so that anyone who sees her pass will not know who she is. People in today’s world also don’t recognize the bride of Christ. They see people going to church but don’t recognize them as the Bride. It’s as if true believers are wearing a spiritual veil making them unrecognizable to the world. After the Bride has gone on to her wedding, the world still won’t recognize who she was. When the bride and groom arrive at the groom’s father’s house they will find a large gathering of wedding guests who are friends of the father. When the Bridegroom brings us to His Father’s house we will also find the Father’s friends there as wedding guests. These are the Old Testament saints, Abraham, Isaac and Jacob, the prophets, and the faithful chosen people who lived prior to the coming of the Messiah. But first the bride and groom must go into the bridal chamber for seven days. And the groom’s friend waits outside the chamber until he hears the groom’s voice. Then he tells the guests when the marriage is consummated. In John 3:29 the Pharisees were questioning John the Baptist if he was the Messiah. John told them: “He that has the bride is the bridegroom: but the friend of the bridegroom who stands nearby and hears him, rejoices greatly because of the bridegroom’s voice. So this joy of mine has been made full.” The marriage is accomplished when the bridegroom’s voice is heard. “No man can lay a foundation other than the one which is laid, which is Jesus Christ. Now if any man builds on the foundation with gold, silver, precious stones, wood, hay or straw, each man’s work will become evident; for the day will show it for it is to be revealed with fire and the fire itself will test the quality of each man’s work. If any man’s work which he has built on remains, he will receive a reward (crowns). If any man’s work is burned up he will suffer loss; but he himself will be saved, yet so as through fire. This has nothing to do with sins. They were all covered at the cross. God isn’t going to charge us for what is already paid for. If you accept Jesus as Messiah (Savior) all your sins are forgiven. The “honeymoon” is where the groom removes the bride’s veil and knows her secrets. Even with our “bad” works, love is the healing factor. If you want a “good honeymoon” follow the Lord and do your good works for him. Either way, keep in mind that Jesus loves you and will be very glad to see you. “Let us rejoice and be glad and give glory to Him for the marriage of the Lamb has come and His wife has made herself ready. It was given to her to clothe herself in fine linen, bright and clean; for the fine linen is the righteous acts of the saints” (Revelation 19:7-8).